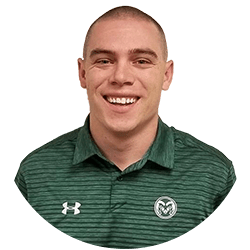 Donny Brown has been promoted to Manager of Sales & Service of the Colorado State University (CSU) Fan Relationship Management Center (FRMC) in Fort Collins, CO. Brown will oversee sales and service initiatives for football, basketball and women’s volleyball as well as the daily operations of the FRMC. Brown was promoted from Team Leader of the CSU FRMC, where he generated over $600,000 in football revenue since 2017 and ranked second across Aspire in total revenue and third in total new revenue generated. The three-year Aspire veteran has excelled at the FRMC earning three promotions since starting in 2015. Before Aspire, Brown worked in the membership department of the YMCA of Greater Indianapolis and as a Sales Representative for the Oklahoma City Dodgers (MiLB), the Triple-A affiliate of the Los Angeles Dodgers (MLB). While attending Ohio University (’14), he interned with the Hurricane Junior Golf Tour in sponsorship development and tournament operations. The Louisville, Colorado-native and his wife Sarah currently live in Fort Collins with their dog Howie.